resource for sustainable development and nation-building. community owners via, among others, applicable legislative instruments. own most of these companies, trusts and CBOs. 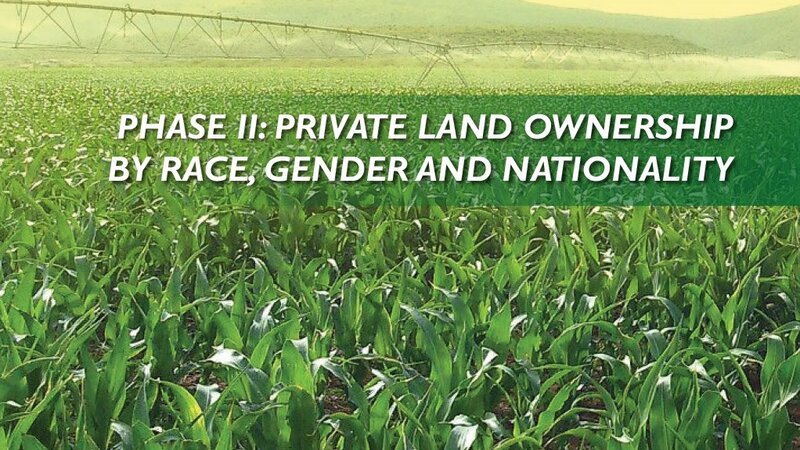 land - are owned by 588 045 or 7% of total landowners. 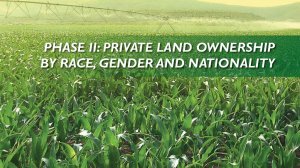 the total land – are owned by 8 469 845 or 93% of the total owners of land, with an average of 0.4 ha per owner. and prices than any in the R8 trillion national property market. Africans at 1 314 873 ha or 4%, other at 1 271 562 ha or 3%, and co-owners at 425 537 ha or 1%. other 1 379 029 ha or 3%. by foreign individuals at 769 284 ha or 2%; co-ownership at 933 728 ha or 2%; and other at 1 379 023 ha or 4%.